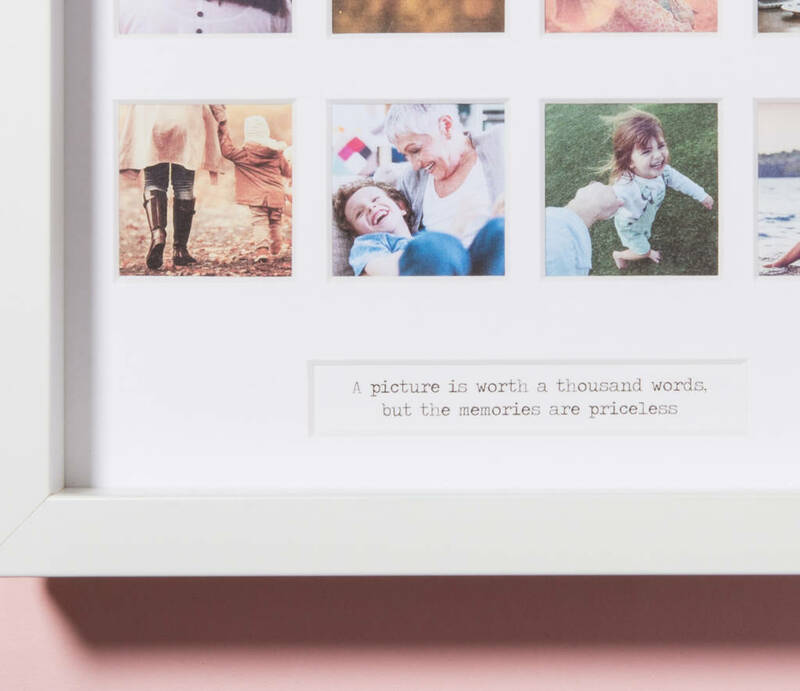 A beautiful Personalised Mother's Day Photo Frame to capture unforgettable moments with your nearest and dearest. 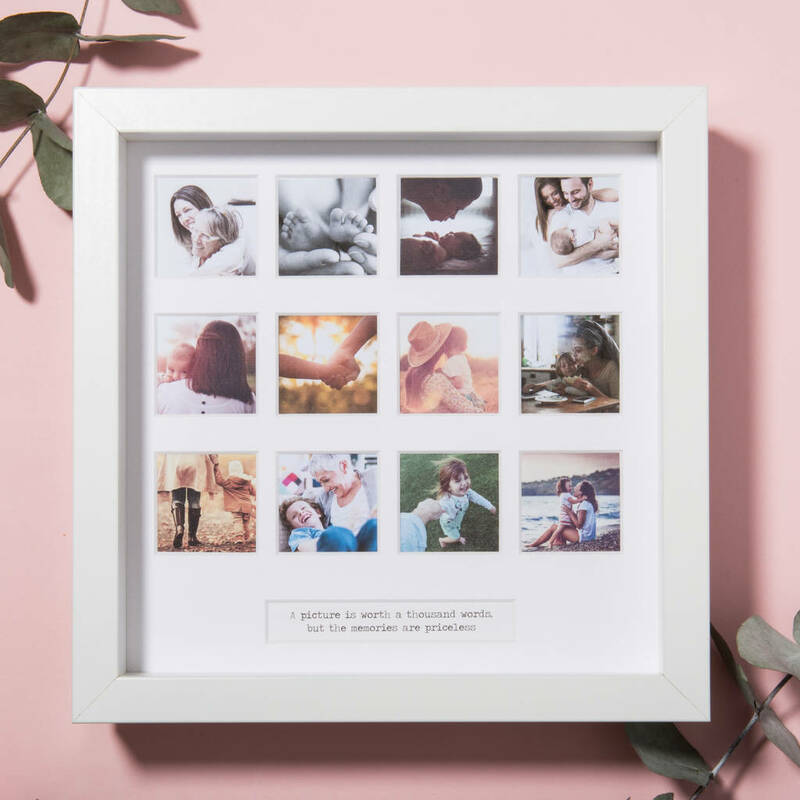 Don't let your special moments slip away, capture them in this unique frame and present as the perfect gift! 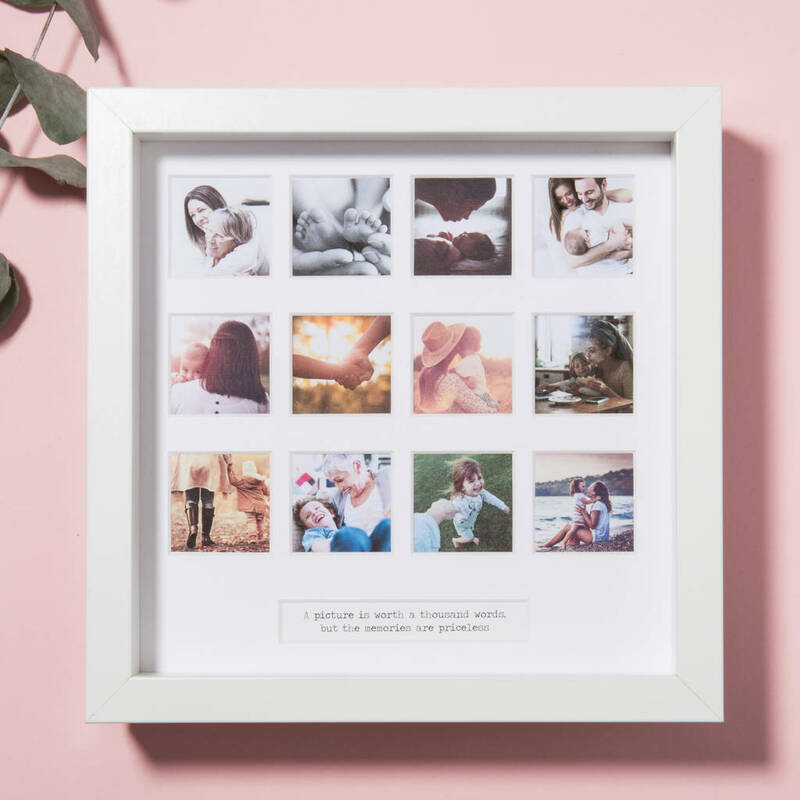 It has twelve square windows for you to put your favourite photographs and a text box at the bottom which we personalise with your message.